17 LISTS The United States Armed ForcesLists about the federal armed forces of the U.S. - its branches, history, practices, active members, and veterans. The American militia movement had been mostly dormant during the Bush administration, but the election of Barack Obama gave it new life - and thousands of new members. 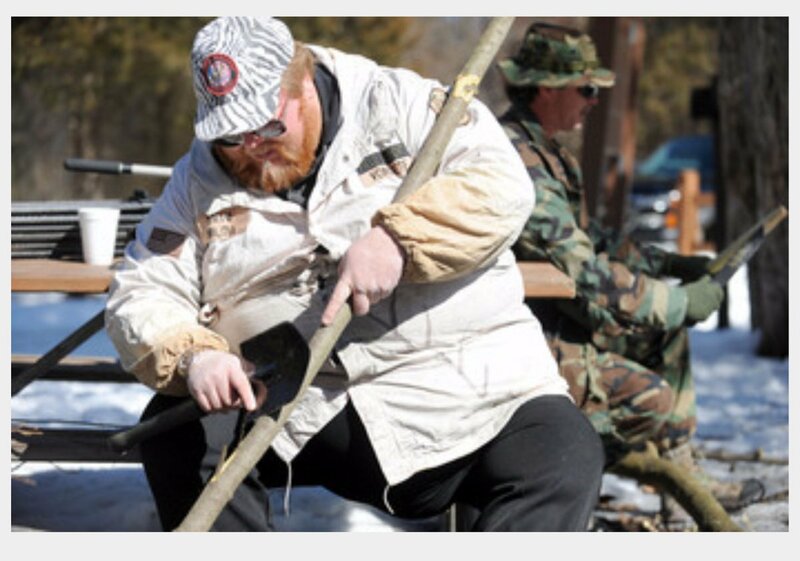 There are currently hundreds of small local militias in the US, groups of "patriotic citizens" who own a lot of weaponry and spend a lot of time tramping through various wilderness areas training to use them. These groups train to prepare for what they see as the inevitable consequences of a Democratic president, such as gun confiscation, martial law, imprisonment of dissenters, mass purges, and totalitarian fascism. Most of these groups are also opposed to federal law and feel they're somehow above the rules that the rest of us live by. This means many have been shut down and raided by police or the FBI - with some groups involved in plots to overthrow the presidency and other serious infractions. Listed here are the more well-known militia groups operating in the US, both now and in the recent past. Read on to learn more about these groups and what drives them. The armed group who occupied the Malheur National Wildlife Refuge in Oregon in 2016 called themselves the Citizens for Constitutional Freedom. They appear to be a small group with anywhere between 10 and 25 members led by members of the Bundy family, famous for their standoff with the Bureau of Land Management in 2001. They seek the ceding of land used for federal wildlife refuges to their control, as well as the release of two imprisoned ranchers found guilty of burning federal land. A loose conglomeration of groups based in the northwest, the Pacific Patriots Network wasn't well known until it stuck its collective nose in the Malheur National Wildlife Refuge standoff. A few days into the occupation, members of the group appeared at the refuge carrying rifles and wearing body armor. They presented the Bundy family with an "Articles of Resolution" asking them to "stand down" and leave before the FBI could move in. In an ironic twist, the Bundy family asked the PPN to leave, telling them they didn't need more people at the refuge and that the intense firepower the PPN brought would make the situation worse. He was later booted out of the group after blaming Japan for the Oklahoma City bombing, and the group has gone through a number of iterations since then. Now defunct, the Montana Freemen achieved worldwide fame due to their standoff with the FBI in 1996. Rejecting any law made by the federal government, the Freemen drew liens against public officials and created realistic fake checks with which to defraud banks. The FBI moved in on their community, “Justus Township,” and the group surrendered after a bloodless, 81-day siege. Their leadership was convicted and jailed - where they continued their bogus lien schemes, this time bamboozling their fellow prisoners.